The majestic London Eye is an iconic part of the London skyline and on a select list of ‘must-dos’ when visiting the city. Made up of 32 high-tech glass capsules, at its peak, the Eye elevates you to the dizzy heights of 135 metres above ground level. Providing spectacular views across the city of London, spot Buckingham Palace, the Houses of Parliament, Big Ben, Tower Bridge and various other iconic London landmarks, as the glittering Thames spreads out before you. London looks gorgeous both in the day and the night and boarding at sunset is even better. The journey around the Eye takes about 30 minutes, so there is plenty of time to take pictures and simply sit back and enjoy the view. 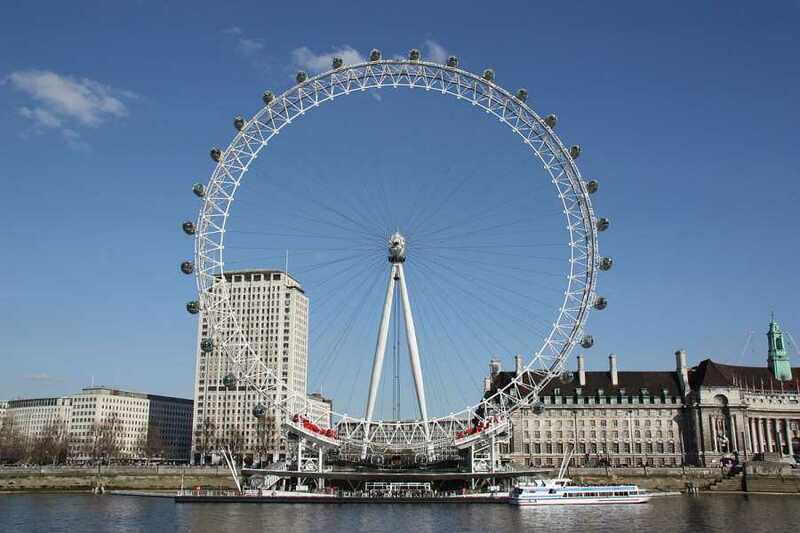 This ticket includes a wonderful 4D experience at The London Eye. Watch the tale of a little girl and her father in London, with the help of excellent effects that include bubbles and mist! Beautiful views of London, a time-lapse and a pretty fireworks display make this story come to life. Opening Times until Sept 2018 are 10:00 AM - 8:30 PM daily. Winter times are 11:00 AM - 6:00 PM daily. We are an agent for these activities, as such you are subject to the terms and conditions of the supplier. See London by the Eye!